MUMBAI: Actress-singer Shruti Haasan is excited to join hands with music producer Udyan Sagar, popularly known as Nucleya, for a special track. "I was really excited to do this collaboration. I've always admired what Nucleya has achieved musically and how he has combined genres so effortlessly and connected with the audience in the most amazing way with his unique talent. It was an exciting collaboration filled with creativity, and he was an absolute pleasure to work with. One of my favourite experiences," Shruti said in a statement. 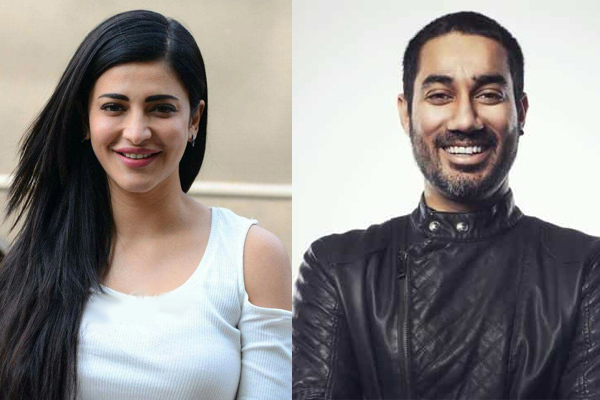 On working with Shruti, Nucleya said, "I've been looking forward to working with Shruti for a while now. When she came into the studio what blew me away was not just her ability as a singer, but as a lyricist and songwriter as well. She wrote all the lyrics and the vocals on our collaboration track and it's turning out great. I can't wait to release it next month on my upcoming album." MUMBAI: Dhvani Bhanushali, who is currently basking in the success of her latest song Vaaste, has a reason to cherish as the song has crossed 50 million views in just a week since releasing on YouTube. The singer exclaims that the track will always remain close to her heart.